The West Hollywood City Council has adopted positions on seven propositions that will appear on the Nov. 6 general election ballot, each of which is expected to have an impact on local residents. 1) Visit the Los Angeles County Registrar-Recorder’s database at www.lavote.net/vrstatus or register online at www.lavote.net. 2) Visit the California Secretary of State’s database at https://voterstatus.sos.ca.gov or register online at https://registertovote.ca.gov. People with special circumstances, such as becoming a citizen between the deadline and the election, can register to vote up to Election Day, through the Registrar-Recorder’s office. For more information, please call (800) 815-2666. The City of West Hollywood will host voter registration pop-ups today and on Oct. 22 from 11 a.m. to 1 p.m. at the Helen Albert Farmers’ Market, located on the north end of Plummer Park at 7377 Santa Monica Blvd. In addition to registering voters, City Hall staff members will provide voter education and informational materials from the Los Angeles County Registrar-Recorder’s office. Voter registration forms may be obtained at West Hollywood City Hall during regular hours; and the city’s elections page, www.weho.org/elections, provides detailed election information and links to the California Secretary of State’s Voter Registration page, the Los Angeles County Registrar-Recorder’s website and links to find specific information about how to apply to vote by mail, polling places and sample ballots. Residents can also find their polling place by visiting www.lavote.net/locator. I agree with Chris Sanger and I am grateful to live in a City that proactively takes part in the discussion on ballot initiatives and helps educate its residents about them. The CA initiative process is flawed and it’s very difficult for anyone to get accurate information from either side of a proposition so I look to other entities to help me sort through the lies and exaggerations to help me best understand and analyze the proposition and its effects. No matter who you look at for advice, “lies and exaggerations” are fundamentally ingrained in the culture of governing through measures and propositions. Once an initiative gets voted in, it’s sponsor is never to be seen again. Next to not voting, your best bet is to vote NO on everything. Then let the people who are paid to figure it all out do their job……and be accountable. It’s easier to change a bad law than it is to repeal a bad proposition. The city council should make its positions known on these referenda. The city is affected by many of them, they are better informed than most of us on them, they are by definition leaders and leaders take stands. The idea that it is none of their business is laughable to be charitable. the city of weho has no business taking positions on state issues it is not involved with. they should remain focused on important things, like sexually harassing their employees (and then defending against the underlying lawsuits). The Weho City Council is a big YES on everything. 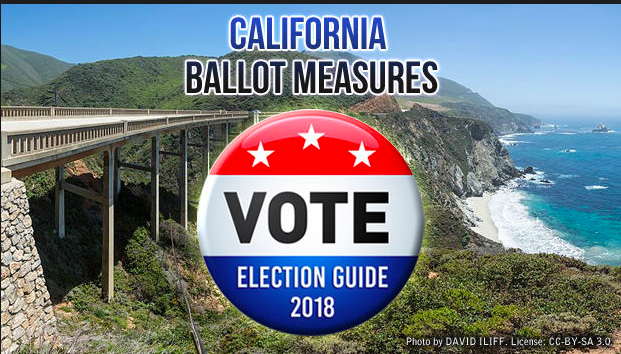 But it’s very dangerous to so quickly say yes (or no) without completely understanding the the consequences of many of these ballot initiatives or know who paid for the signatures gathered as uninformed voters exited grocery stores. It’s bad enough that California has developed the habit of governing through measures and propositions. The Weho City Council, the county and the state should focus on legislating through public hearings, un-bias analysis and public policy discussions by the legislators we voted in to represent us and who will be held accountable. We should not be governed by simply asking citizens to vote Yes or No. Your POV should become its own Op-Ed.